The forward bends create length and space in the spine, counteracting compression, and their inward nature can promote introspection. Forward bend must be done with care specially if you have tight hamstrings and hips. Beginners tend to round their back in the forward bends which might be dangerous for your lower back and lumbar spine. This doesn’t mean that you should avoid forward bends, infact these are the postures that will relieve the tight hamstrings and hips. Just make sure to take care (you can bend your knees a little until your hips are sufficiently open). 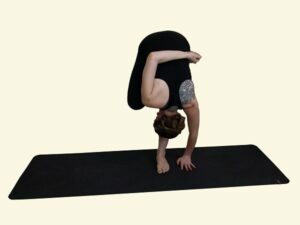 Scroll through our Forward Bend Yoga Asana/Posture library for beginner, intermediate and advanced postures, Click on the link or thumbnails to know the details.